CMA B - Alco-Chem, Inc.
80 racks / 320 covers per hour. Large 20-1/2" clearance for dishes. Economical to operate. 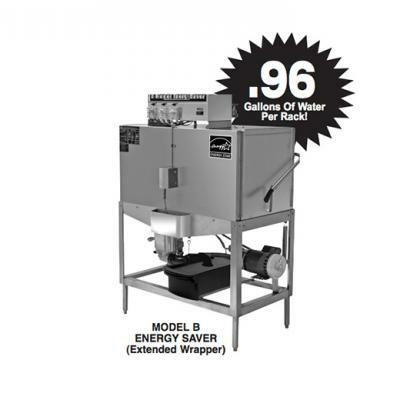 Uses as little as .96 gallons of water per rack. All stainless steel construction assures long life of trouble free operation. Built-in Poly ProTM scrap accumulator with all stainless steel drawer prevents food soil from entering drain system. Water inlet with built-in strainer, prevents debris from clogging water valve. Dishmachine comes with 2 dishracks. Stainless steel impeller offers extended life and service. n Stainless steel scrap tray long lasting.